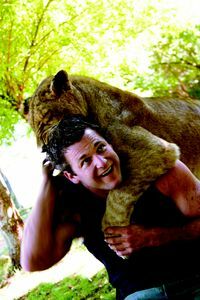 Zoologist and big cat trainer Dave Salmoni is on a mission to prove that humans can live in harmony with wild lions. This month, Animal Planet goes INTO THE LION'S DEN with Dave as he spends three months deep within the no-go zone of a pride of wild lions in South Africa - armed with only a stick and a miniature camera. Will his daring mission help remove the barrier between man and beast or will he fall prey to these magnificent predators? Dave Salmoni believes that with humans encroaching on the natural habitats of wild animals, conflicts are inevitable and that there needs to be a change in how humans interact with them. To better understand how we can harmoniously co-exist, Dave intends to carry out a radical and dangerous experiment - living with lions in the wild. 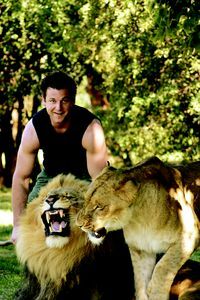 As a big cat trainer, Dave knows that every sound and movement a cat makes tells him how it is going to behave. So, to prepare for his mission, Dave undergoes rigorous training with big cats such as jaguars, tigers, and lions in captivity, immersing himself in their behavioural patterns and honing his communication skills with these animals. With this knowledge and zoological expertise, Dave heads to the Thornybush Private Game Reserve in South Africa to carry out his experiment. Every precaution is taken for his safety, with a team of paramedics and Reserve rangers watching him from afar prepared for every possible emergency situation. Catch the riveting two-hour special INTO THE LION'S DEN this month on Animal Planet and find out if there is a place for man and beast to live together in the wild.